Three future NFL Hall of Famers played at Cubs Park (now known as Wrigley Field) in a big league baseball game. Paddy Driscoll (photo) played 2B for the Cubs. That was his only year in baseball, but he went on to a great football career with the Chicago Bears and the Chicago Cardinals. Jim Thorpe & Greasy Neal both played in the outfield for the Reds. Thorpe’s biggest baseball claim to fame was knocking in the winning run in the double no-hitter between Hippo Vaughn & Fred Toney, but he was one of the greatest players in the NFL during the 1920s, and was named to the all-decade team. Neal was a member of the 1919 World Champion Reds (that beat the cheating White Sox), but he went on to become an NFL head coach, leading the Philadelphia Eagles to two championships (1948 & 1949). On this day in 1917, Thorpe & Neal came out victorious as the Reds beat the Cubs 8-5. July 2: In 1957 Lee Walls hits for the cycle…In 1967, a Cubs victory over the Reds puts the Cubs in first place—somewhere they haven’t been in more than twenty years. Fergie Jenkins gets the win. July 3: In 1960, rookie Ron Santo hits his first Major League home run. It’s a three-run homer in the bottom of the first inning against Reds pitcher Jim O’Toole. The Cubs win the game 7-5… In 2000, Jon Lieber pitches a two-hitter against his former team, the Pirates, and the Cubs win 3-0. July 4: On this day in 1929, Hack Wilson hits a ball into right field for a single, but instead of running to first, runs into the Reds dugout to punch heckling pitcher Ray Kolp in the face. He is ejected from the game. The Cubs win the game 10-5…In 1963, the Cubs play a double header and both pitchers throw shutouts. Hobbie has a 2-hitter in the opener, and Paul Toth throws a 3-hitter in the second game…In 2003, Moises Alou hits three homers, but the Cubs still lose the game, 11-8…In 2016, MLB announces the entire Cubs infield (Rizzo, Zobrist, Russell & Bryant) have been voted in as starters of the upcoming all-star game. 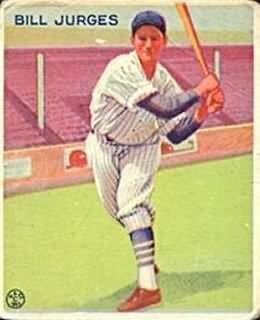 July 5: In 1937, Frank Demaree gets eight hits in a double header against the Cardinals. In the first game he gets three singles and three doubles, and in the second game, he adds two more singles to the total. The Cubs win both games…In 1974, Andre Thornton hits a walk off homer in the bottom of the ninth to beat the Braves…In 2007, the Cubs turn Wrigley Field over to the rock band “The Police”, who stage a concert for a sold out crowd. July 6: In 1932, Billy Jurges had a day to forget (full story below)…In 1952, Cubs pitcher Paul Minner tosses a two-hitter against the Cincinnati Reds in the first game of a double-header. Unfortunately for him, one of those two hits is a homer by Reds leadoff man Bob Borkowski. The Cubs still win the game 5-1…In 1970, Ron Santo tallies 10 RBIs as Cubs take two from Expos. July 7: On this day in 1976, Cubs ace Rick Reuschel shuts out the Padres on only four hits, while the Cubs bats explode for ten runs. Manny Trillo and Steve Swisher both homer for the Cubs…In 1987, Andre Dawson is beaned in the face by Padres pitcher Eric Show. Cubs rookie Greg Maddux retaliates and ignites a brawl. Cubs shortstop Billy Jurges had a day he would have loved to forget. 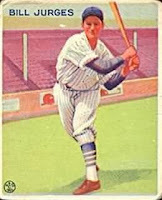 He was known as a fiery, ill-tempered, good fielding, weak-hitting shortstop for the Cubs, but he was also one of the team leaders during the best decade of the Cubs bad century (they were in the World Series in ’32, ’35, and ’38). But for all of his on-the-field hijinks, Billy Jurges will always be remembered for what happened off-the-field on July 6, 1932. He was living at the Hotel Carlos at 3834 N. Sheffield Ave (now known as the Sheffield House Hotel), and so was a girl he had “seen” a few times–Violet Valli. She called Jurges on the telephone, and asked if she could see him. Before leaving her room, she wrote a suicide note saying that she was sorry for killing Billy Jurges and herself, but she had no choice because their “beautiful love had been broken up” by his teammates Kiki Cuyler and Lew Steadman. Jurges later said he had no idea what she meant by that. Jurges let Violet into his room, but when he saw she had a gun, he grabbed at it and took a bullet in the hand and another through the ribs. Despite the injuries, he managed to get the gun away from her, and prevented her from killing herself. Then, after he recovered from the shooting, he refused to testify against her in court. The case was dismissed. Amazingly, Jurges wasn’t hurt too seriously. He returned to the Cubs before the end of the season, and hit .364 in the World Series against the Yankees. Wrigley Field is packed with 41,000+ for the 14th annual All-Star game. It is the first all-star game where the starting eight position players were picked by the fans. Managers Eddie Dyer and Joe Cronin select Ewell Blackwell of the Reds and Hal Newhouser of the Tigers as the starting pitchers. The Cubs are represented by Andy Pafko (who goes 1 for 2) and Phil Cavaretta (who goes 0-1). Among the big stars in the game: Ted Williams, Joe Dimaggio, Lou Boudreau, Enos Slaughter, Johnny Mize, and Warren Spahn. It is not exactly a slugfest. Only one home run is hit in the game. In the N.L. 4th inning, “Big Jawn” Mize shatters a scoreless duel with a line shot homer off rookie Spec Shea of the Yankees, to put the N.L. on top 1-0. In the A.L. 6th, pinch-hitter Luke Appling singles off Harry Brecheen. Ted Williams singles Luke to third. Appling scores to tie the game when Joe DiMaggio bounces into a double play. The A.L. scores the winning run in the 7th when Bobby Doerr singles and steals second. On pitcher Johnny Sain’s wild pickoff throw, Doerr goes to third. He scores on a pinch single by Stan Spence of Washington, giving the American League a tight 2-1 victory. The win goes to Shea, the first rookie winner of an All-Star game. The All-Star game doesn’t return to Wrigley Field until 1962.